CALL or text Susan 937-654-9558 with any questions. Classes start at 6:30 pm. Each class period lasts for 1 hour. Class fees are paid with cash or check. The summer classes will last four weeks and class fee is $40.00. Please bring your dogs shot record (age appropriate) and fee on the first night of class. Treats, try having a variety of different treats to keep your dog interested and not bored of the “same old, same old”. Look for HIGH VALUE treats, like freeze dried chicken, beef, liver, turkey, etc. 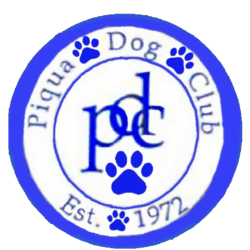 Poop bags, (we have a cleanup station to use as well) please remember to be courteous and clean up after your dog outside and in they have an accident inside. Shoes that with traction and a closed toe. Don’t use your pocket or zip lock bags for treats. No prong collars, shock collars, or choke chains. 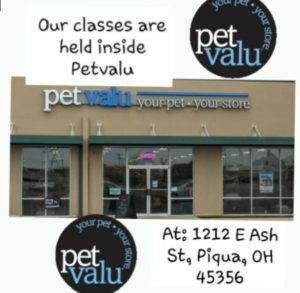 The cost of the 7 week class is $65 Cash or checks only. All classes are filled on a first come, first serve basis. Print out the registration form from our website, fill out and bring it with you to the first class. This will speed up the registration process, but we always have forms available at the registration table as well. We encourage questions during the classes because – believe it or not – you are probably not the only one with that problem ! 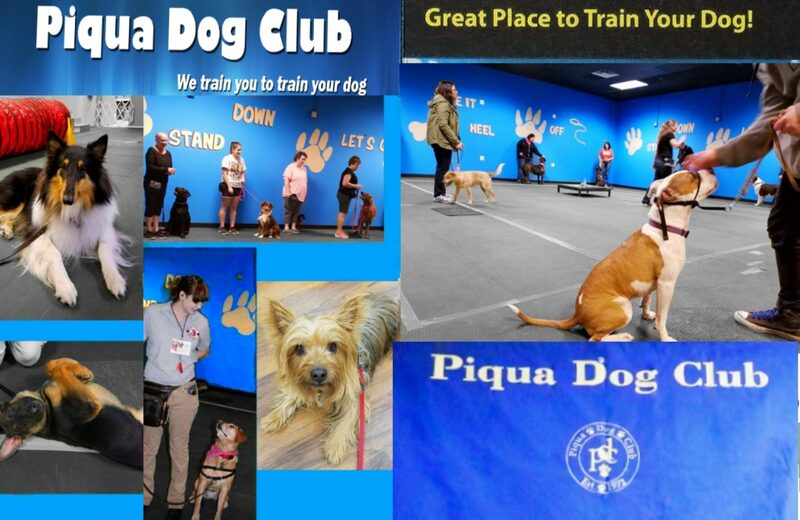 Our goal is to have you leave our classes with the tools and knowledge to meet any challenge your dog gives you. The training never really stops – your dog will continue to test your leadership skills, but by staying firm but loving you and your dog will form a bond like no other.